FLC Samson Beach & Golf Resort, 170km down to the South of Ha Noi or 17km from Thanh Hoa city, has an extremely unique location, between the Ma River’s mouth and the scenic East Sea, it’s close to the Sam Son Beach where is one of the most popular swimming places in Viet Nam. 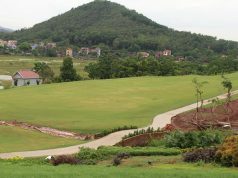 Covering 450 hectares, the newly opened FLC Samson Beach & Golf Resort is the biggest golf course – resort – hotel complex in the Central of Viet Nam with the total investment of 260 million USD. 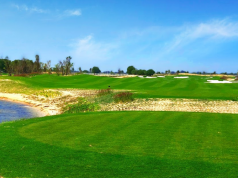 But perhaps the most important appeal of the complex is its 18-hole Golf Links Course which is set to be one of the most beautiful, modern and challenging golf course in Vietnam. Playing to a total of 7,200 yards, FLC Sam Son Golf Links provides 18 superb holes, the unique layout of the holes, different kinds of the greens, stunning undulating fairways. The course will test the abilities of golfers of all skill levels from many positions on the links course. 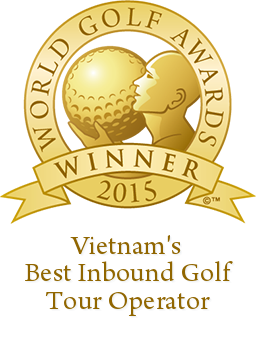 The Golf Course is currently the longest coastline golf course in Viet Nam. 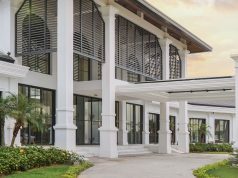 In addition to the well-designed golf course and the outstanding location, golfers and guests can enjoy the accommodation of international standards, superb resort facilities and personalized service that promises a delightful and memorable stay. Especially, the design of club house permits observing the entire golf course that makes the building become a comfortable place for energy recovery and make it easy to run a golf tournament. FLC Samson Beach & Golf Resort will not only help bring about new facelift for Sam Son tourism, improve one-season tourism in this coastal city but also help attract more investment in the northern central province of Thanh Hoa, boosting socio-economic development, creating jobs for local residents, contributing to create a new face for Sam Son in particular and Thanh Hoa in general. 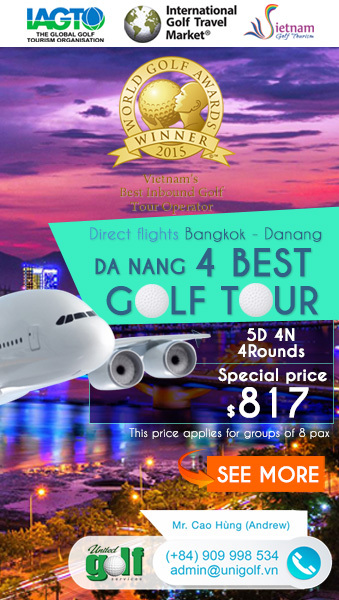 Address: 5th Floor, FLC Landmark Tower, Le Duc Tho street, My Dinh 2, Nam Tu Liem, Hanoi.